The Mosin Nagant rifle is one of the most economically priced surplus bolt-action rifles found on the market today. Hunters and target shooters praise the Mosin for its accuracy, relatively low price point, ruggedness and its economical chambering in 7.62X54R. The round is similar in performance to the 30-06 round and for that reason; the rifle has become popular with hunters. Most Mosin-Nagant rifles are ready to go to the range or the field after the Cosmoline has been cleaned from the stock, but like most rifles, there is room for improvement in this 120 year-old design. That is where the scope comes into play. Scopes do not automatically make one a better shooter, but they do allow the shooter a better view of the target. 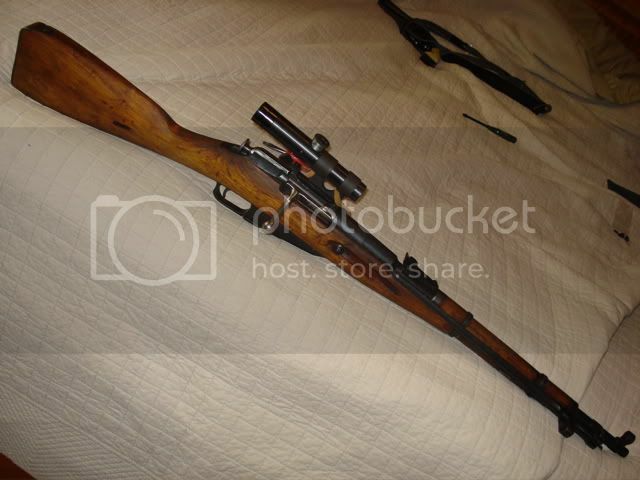 Finding a scope for a Mosin can be problematic as the rifle uses a straight bolt handle as opposed to one that is bent. This means that the shooter will be unable to open the bolt action with a scope mounted in the conventional configuration as the bolt handle will hit the body of the scope. This can be alleviated by cutting and reattaching the bolt handle so that it will clear the scope or replacing the straight handle with one that is bent. These conversions require the attention of a gunsmith as one conversion affects the heat treatment of the metal whereas the other could affect the rifle’s headspace and become a safety issue. The other alternative is to use a scout scope on the Mosin. A scout scope is mounted over the rifle’s chamber in front of the bolt and uses greater eye-relief. The advantages are that the target can be acquired more quickly under low magnification. Increased magnification, however, can make it problematic to acquire a proper sight picture in a hunting situation. The first scope the shooter should be aware of for the Mosin Nagant is the PU Scope. This design was first fielded during World War 2 by the Russians against the Wehrmacht and has become an iconic design in the years since. The scope was manufactured as late as the 1980s and if you cannot find an original, there is a replica offered by Firefield known as the Firefield PU Mosin-Nagant/SVT-40 Scope. Like the original it offers a fixed magnification of 3.5X and is outwardly similar down to the mount. Therein lays the problem. Most shooters think that a scope and mount system intended for a specific rifle is a plug-and-play affair. In many cases this is true, but with regard to the Mosin and this scope it is not. Mounting the scope requires converting the bolt handle as mentioned previously. Furthermore the user must drill and tap the left side of the receiver to install the scope mount. In some cases the side of the receiver may need to be milled to provide a flat surface for the mount to properly fit the rifle. When installed properly, the scope will sit so high that a cheek rest will need to be installed in order for the shooter to obtain a proper cheek weld. The end result with this type of scope is costly and the performance upgrade is almost not worth the expense. Unless the shooter is looking to build a replica of a World War 2 era rifle with marginal optics, the end results will be substandard for a hunter or target shooter looking to enhance their Mosin. The concept of the scout rifle was popularized by firearms expert Col. Jeff Cooper in the 1970s. One of Cooper’s specifications for the rifle included a long eye-relief low magnification scope mounted over the rifle’s chamber. This type of scope quickly became known as a scout scope for this reason. Because of the lack of rearward mounting options for a more traditional scope, the scout scope concept has proven to be the most reliable and convenient for use on the Mosin-Nagant. 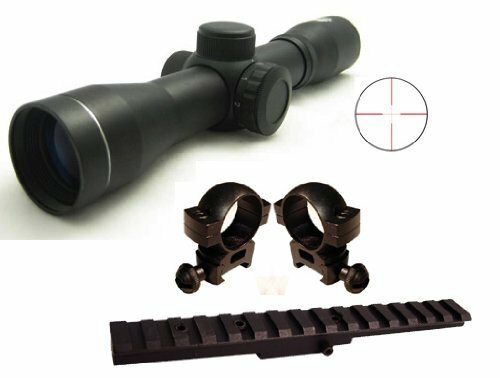 This scope and mount package is produced by Nc Star of China. The optics are relatively clear and provide a fixed magnification of 2.5X with an illuminated reticle in a Duplex Crosshair pattern. The included mount replaces the rear sight leaf and must be secured with Loctite or the screws will come loose. This next scope is manufactured by Aim Sports and boasts a variable power setting from 2X to 7X magnification and a range setting on the reticle measured in 25-yard increments from 100 yards out to 225 yards. The scope comes with rings, but does not include a mount. Keeping the scope on the higher settings allows you to better see the target at longer ranges, but can make initial target acquisition more difficult. 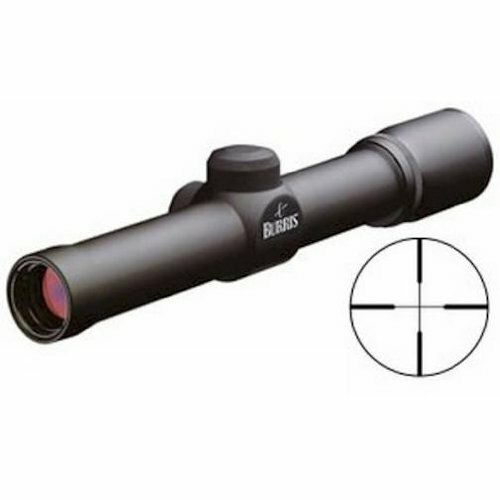 Increasing a great deal in price from our two previous scopes is the Burris Scout 2.75 Model. As the name implies the fixed power magnification is set to 2.75X and it is the most rugged design on the market. The glass is crystal clear and the reticle is crisp and bright. It may cost 2 to 3 times the price of the rifle and includes no rings or base, but it lets the shooter reach out beyond 200 yards consistently. Our last scope is more of a sight as it offers no magnification. 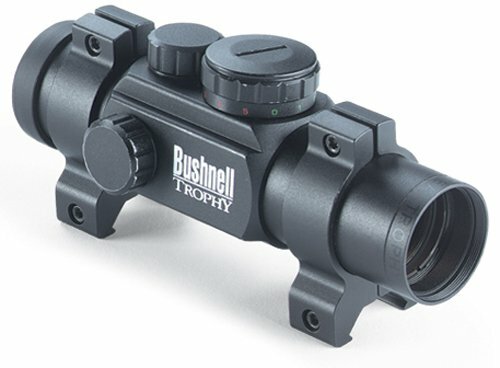 The Bushnell Trophy Multi Red/Green Dot Reticle Riflescope is a non-magnified red dot scope that allows for rapid target acquisition and the parallax-free dot allows for extended eye relief. It mounts securely to a Weaver or Picatinny style rail and the red dot helps bring the Mosin into the 21st Century. These scopes represent some of the better and more affordable optics available for the Mosin Nagant family of rifles. However the last three do not include a mounting base. A good solution is a base offered by North Carolina-based Brass Stacker that may be the most rugged and robust mounting option for the Mosin Nagant. If that option does not suite your needs then you can take a look at our scope mount page where we will review and rate the top 5 scope mounts.